Originally written for television and considered too intimate for grand opera houses, Chapel off Chapel proves to be the ideal venue for this lovingly staged production by Lyric Opera. 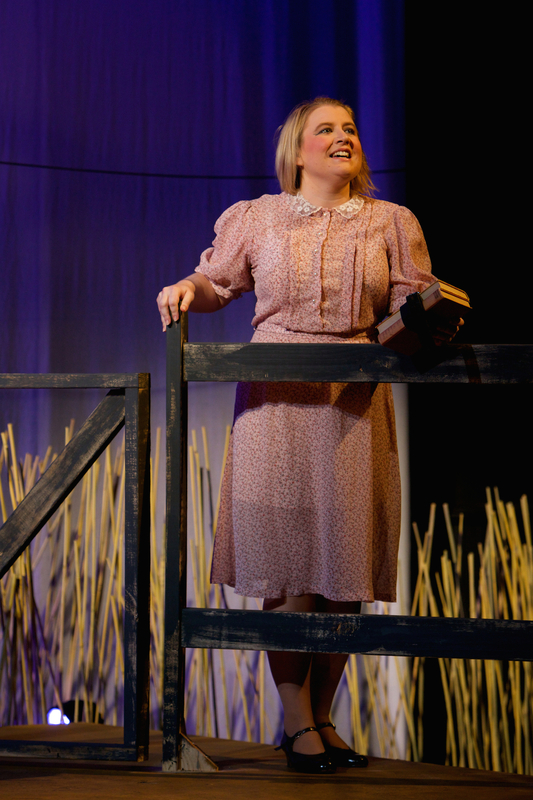 The little-known work is immediately accessible, with recognisable characters, a simple but affecting plot and Aaron Copland’s gently lilting music, which effectively evokes the rural American setting portrayed on stage. 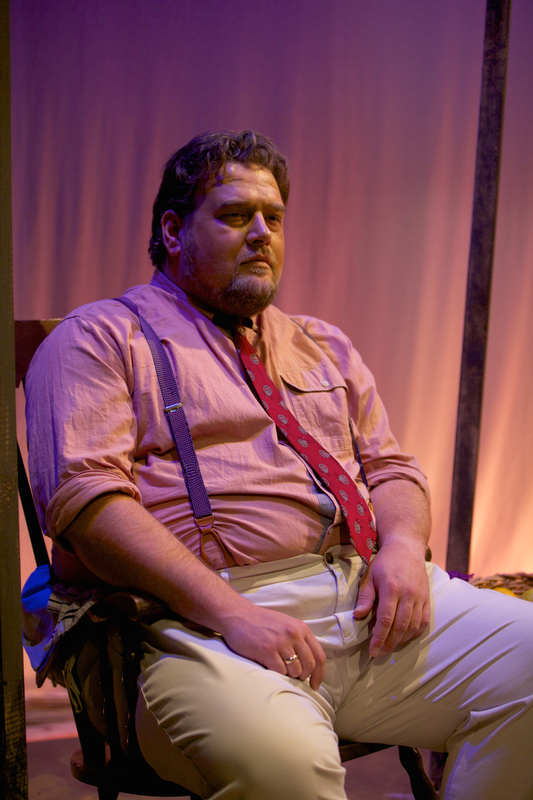 Inspired by photographs of depression-era America of the 1930s, Copland and librettist Horace Everett (Erik Johns) created the scenario of a family farm at a particular point of change. 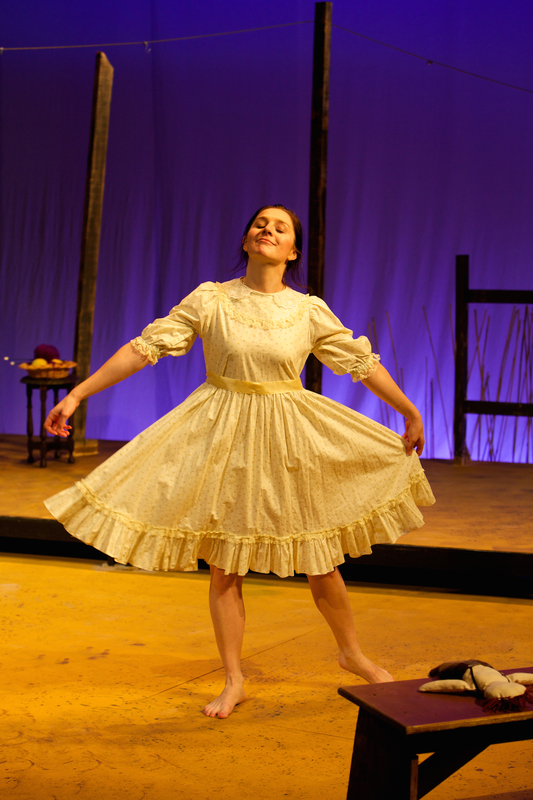 The setting recalls Oklahoma!, but this time “Laurie” is the girl who cain’t say no, as she falls head over heels for one of two drifters on the eve of her high school graduation. Although the moderate pace of the plot does not aim to create a great deal of tension, there is the underlying thread of whether the two men are the same pair who have been causing local disturbances. The tone of the piece indicates that Laurie’s whirlwind romance cannot end well, but her final decision is a brave and somewhat surprising one. Conductor Pat Miller presides over a tight ensemble of eleven musicians, who give a confident performance of Copland’s lovely, if not overly melodic, music. Balance between singers and musicians is excellent, allowing the audience to relax and take in the unfamiliar score with ease. Perhaps in part due to Copland’s pitching of vocal lines, but surely in most part due to expert preparation, the diction is faultless, with all lyrics being easily heard and understood without the slightest need for surtitles. The music builds up through act one arias (which are almost songs here) and really gathers momentum with the arrival of the full company for Laurie’s graduation party. Act one closer “The Promise of Living” is as lovely a choral number as could be hoped to hear. Director John Kachoyan has expertly drawn out committed, evenly matched performances from his ensemble cast of eleven. The pathos and elements of mystery are presented in an honest, unflustered way, avoiding any hint of melodrama. Rob Sowinski’s lighting design is a feature in the staging, with the changing colours of country sky nicely captured on the rear cyclorama. Sowinski’s set design is deceptive in that it looks quite simple but actually contains carefully thought out details such as the two-tier platform floor that is painted in a way so as to also pick up the changing light. Martelle Hunt’s costumes support the authentic period setting. Laurie’s graduation dress, a focal aspect of the story, is nicely realised in that it is just fancy enough to be special while also reflecting what the struggling family could afford. Such is the consistent quality of the cast, despite varying levels of experience, it is difficult to designate highlights. Mezzo-soprano Caroline Vercoe grounds the company as loving battler Ma Moss, capturing the hopes, dreams and worries of the staunch woman in her eyes and singing voice. Soprano Emily Uhlrich gives a charming performance as Laurie Moss, clearly conveying Laurie’s youthful optimism and passion, and singing with delicate sweetness. Experienced tenor Henry Choo, in fine voice, brings a tender side to drifter Martin, creating an interesting characterisation that could have easily been one-dimensional. Choo is well supported by baritone Raphael Wong, who also tempers the unpleasant side of his role with a friendly smile. It is indeed a pleasing performance for Wong’s first principal operatic role. Imposing bass baritone Tiriki Onus neatly balances the warmth and gruffness of Grandpa Moss. Onus also displays fleet-footed dance skills when the company break into dance, energetically choreographed by Georgia Taylor. Daniela Leska is quite adorable as younger sister Beth Moss. Daniel Sinfield makes the most of the featured role of postman and neighbour Mr Splinters. Remaining ensemble members all make valuable contributions to the singing, dancing and general warmth and affection on stage: Bridie Barrett, Bernard Leon, Dannielle O’Keefe, Rebecca Rashleigh. Given the number of opera lovers in Melbourne, the theatre showed should be filled to overflowing for a charming work that is this well staged and sung. The Tender Land plays at Chapel off Chapel until 10 May 2014. This review published on Theatre People 3 May 2014. I enjoyed your lyric opera review. I saw the Tender Land performed by Bronx Opera about five years ago. As a former board member of the Opera Studio, couldn’t you have at least said that she was well supported by former Opera Studio Student, Baritone, Raphael Wong? Will be at St Kevin’s today refereeing the rugby. Will waive in your direction if you tell me what building you are in. This message may be subject to legal professional privilege and or without prejudice privilege which is not intended to be waived unless expressly stated herein.